Creating a better place with Brilliant Bikes: Is my Brompton a long or short wheelbase? Pre 2004 Bromptons are referred to as short (as opposed to long) wheelbase. 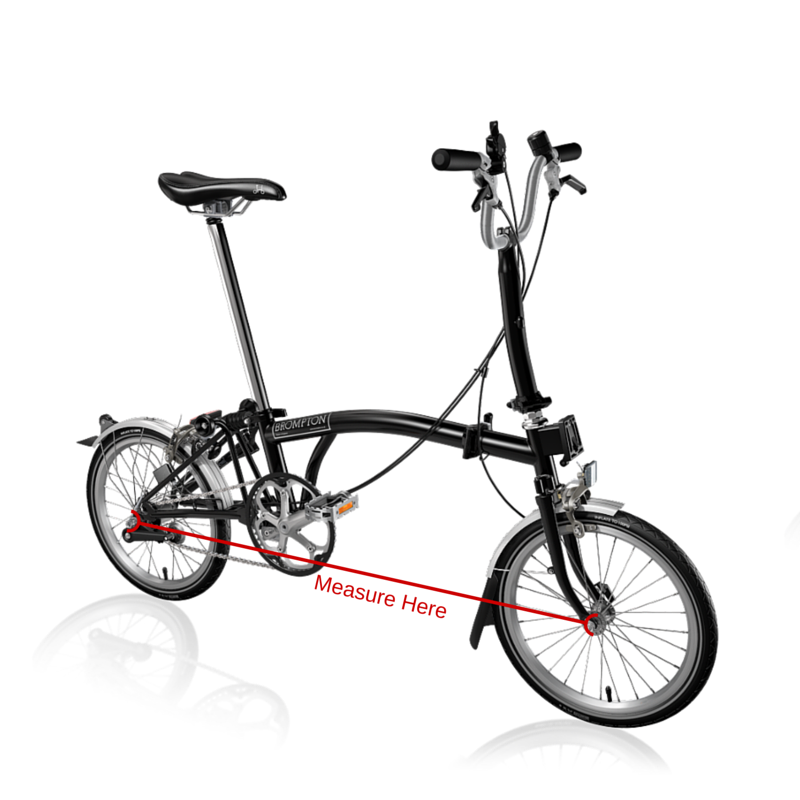 But often we are asked "How do I know of my ?Brompton is long or short wheelbase?" The easy guess is 'it's a long wheelbase' - as the majority of Bromptons out there are the long wheelbase model - but to be 100% sure there are these two ways to see. The long wheelbase Brompton is only 3cm / 30mm longer than the short wheelbase version - but this makes enough difference that different cables should ideally be used (rear brakes and hub/derailleur gear cables) to make the fold work optimally. You can measure (with the Brompton unfolded) from the centre of the front wheel to the centre of the rear wheel. One of the improvements made to the long wheelbase Brompton was the quality of the main hinge. Instead if being brazed by hand it is now done by machine to make it more consistent and robust in its construction. The below picture shows the main hinge on a short wheelbase Brompton - you can see that the main hinge is not quite as tidy as the machine brazed version on the long wheelbase model. The hand brazed main Brompton main hinge gives the appearance that the hinge is narrower - as the slope up is thicker, but the hinge clamp required is actually the same width. The picture below shows the main hinge on a long wheelbase Brompton - you can see the much smoother join made by machine brazed hinge. Out of interest - both of the bikes shown above (the long and short wheelbase model) feature the older hinge clamps, which are now available in various colours (yellow, red, lime green and yellow) as well as the traditional black.